- It installs without any physical contact with machines. - You can serve multiple machines with the same laser in one line. - It is possible to achieve high precision measurement, in order to better manage the available space. - BRUSHLESS MOTOR to move the column along the laser beam with high acceleration, speed and quickness of arrest. 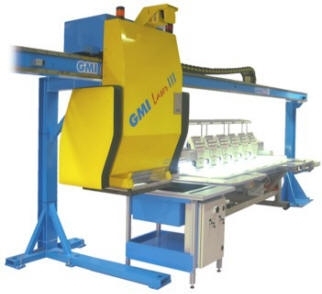 - Pilot the laser beam with extreme speed and accuracy using special mirrors moved by electromagnetic motors (you get much higher quality results than traditional systems, laser cutting heads driven by belts and motors x - y). Classic bridge laser for cutting applications in natural and synthetic fabrics. 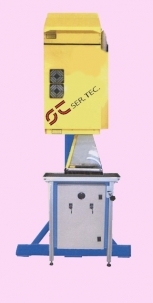 Model with a thinner beam for cutting the hardest materials or skins for clothing. - Galvanic optical control system of the laser beam with a focal variable field.